Gluten-free baking is a bit of a challenge, I’m not going to lie. 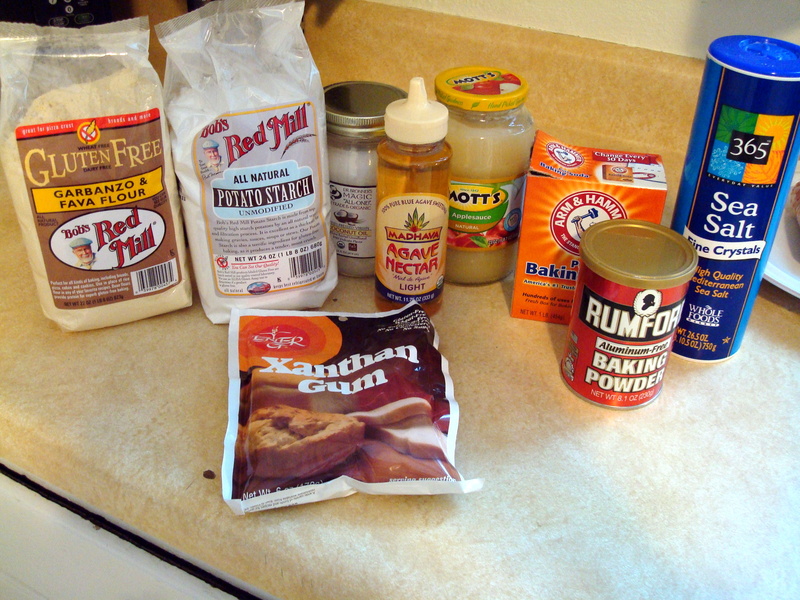 You have to buy a lot of different kinds of flours to blend together and then add a gum (like xantham or guar, not Wrigley’s) to take the place of traditional wheat flour. And these other flours and gums are not cheap. It makes sense, since wheat is subsidized in this country, but still. You better believe I will use every last tablespoon of these flours even after Lent is over… But I digress. A few weeks ago when I knew I was giving up wheat I decided to order a few gluten-free baking cookbooks I had been eyeing on Amazon. One of them was from a very well-respected gluten-free vegan bakery in NYC. Vegan bakery? Say what? Seems kind of counter-intuitive, right? Even though I never got around to visiting this bakery when I lived in New York (a wrong I intend to right on my next visit) I always heard great things so decided to test it out. And you know what? The results were pretty darn good. I even had a few coworkers say they were the best cupcakes they ever had. 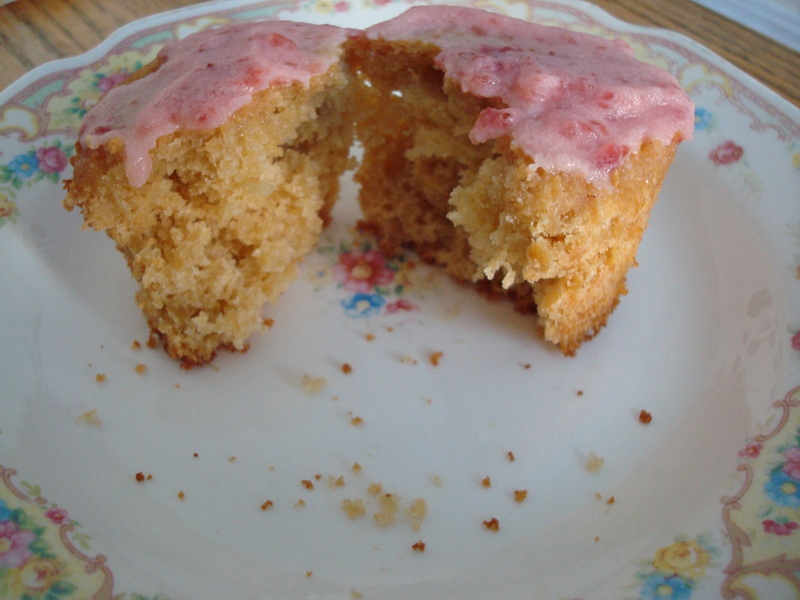 Even though the cookbook provided dairy-free frosting recipes I opted to thaw out some leftover strawberry mascarpone frosting from an earlier baking experiment that is decidedly not vegan but you can frost however you see fit. Preheat the oven to 325 degrees F. Line 2 standard 12-cup muffin tins with paper liners. In a medium bowl, whisk together the flour, potato starch, arrowroot, baking powder, baking soda, xanthan gum, and salt. Add the oil, agave nectar, applesauce, vanilla, and lemon zest to the dry ingredients and combine. Stir in the hot water and mix until the batter is smooth. Pour 1/3 cup batter into each prepared cup, almost filling it. 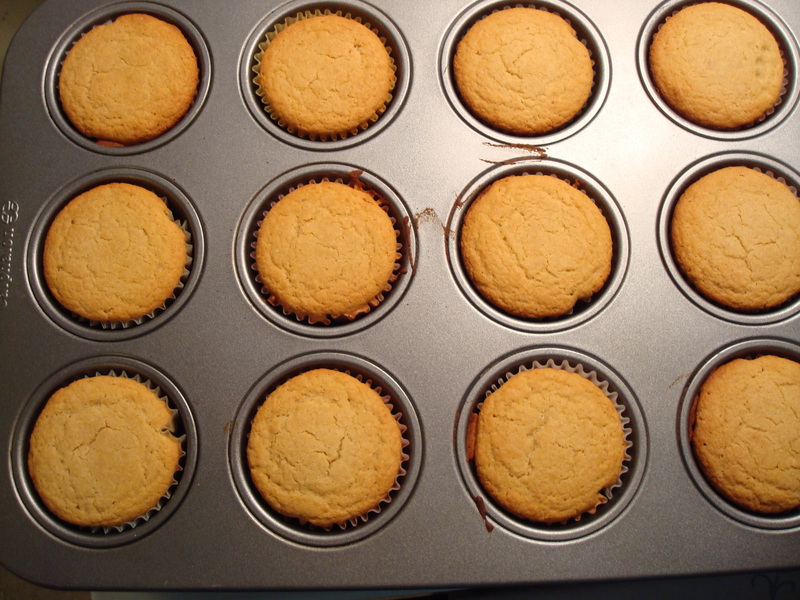 Bake the cupcakes on the center rack for 22 minutes, rotating the tins 180 degrees after 15 minutes. 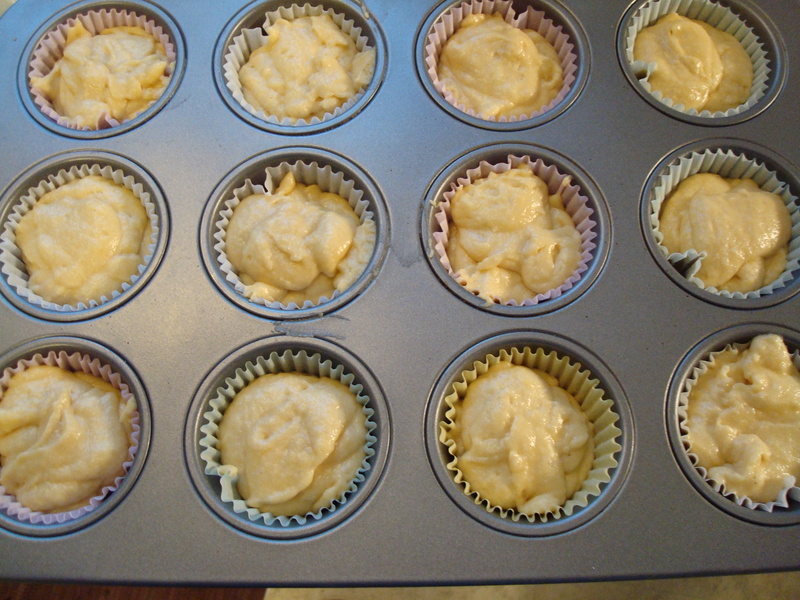 The finished cupcakes will be golden brown and will bounce back when pressure is applied gently to the center. Let the cupcakes stand in the tins for 20 minutes, then transfer them to a wire rack and cool completely. Using a frosting knife, gently spread 1 tablespoon vanilla frosting over each cupcake. 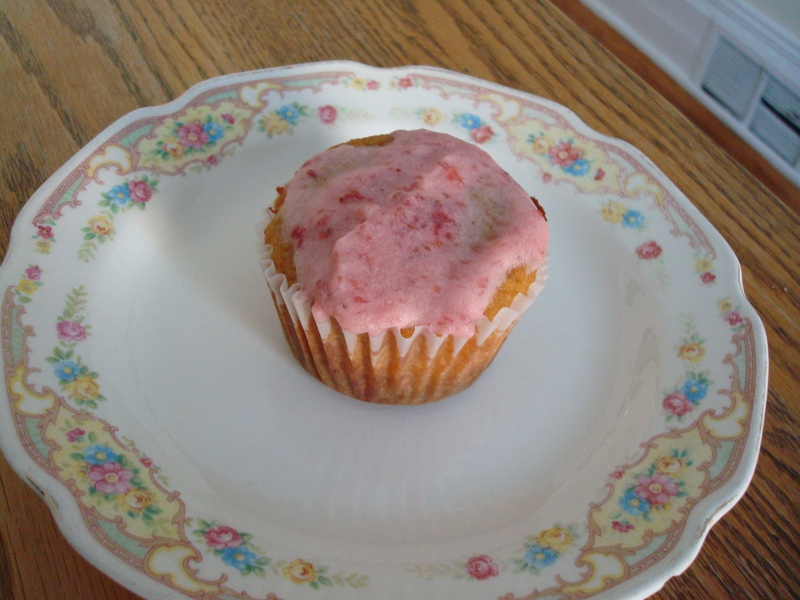 Store the cupcakes in an airtight container in the refrigerator for up to 3 days. In a mixer fitted with a paddle attachment beat butter and mascarpone cheese until smooth. Add confectioner’s sugar and vanilla, beat until light and fluffy. Stir in pureed strawberries with a spatula.